Facebook’s UK boss says the social media site could do a “much better job” of helping users control their experience on the site. Top Facebook executives were answering questions in a rare Q&A held by Radio 1 Newsbeat, several of which were about users’ data and privacy. “We’re hearing loud and clear that we could do a much better job of helping to inform people in a really clear and simple way,” Steve Hatch said. The Q&A is on Newsbeat’s Facebook. Steve Hatch used advertising as an example of an area where they want to “ramp up” the control users have of what they see. “At the top of every single ad in Facebook there’s three little dots and if you click on that, you’ll be able to see why you’re seeing that ad,” he said. Richard Allan is the company’s head of UK public policy. He thinks that there’s a “cycle” in the way the issue of control has worked on Facebook. “People want more and more control. “A number of you will ask us for more and more control, so we build more and more controls. And then they feel it’s got more complicated. 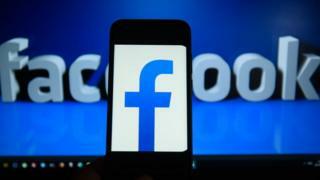 Facebook is holding an event in London until 16 September in an attempt to be more transparent, where its users can ask them directly about concerns about data, privacy and control. You can watch highlights of Newsbeat’s Facebook Q+A on the BBC News Channel in a special programme on Friday 14 September at 20:30.